"…The joyous and miserable chaos of adolescence, distilled into a remarkable hour of theater… ‘Once and for All’ embraces and emphasizes the contradictions of the developing mind, creating a vivid 3D X-ray of the psyche in its formative years." "…Ontroerend Goed finds ways of physicalizing the inner maelstrom of youth… the show is unfailingly effective at conveying the circuit-breaking charge of teen spirit." 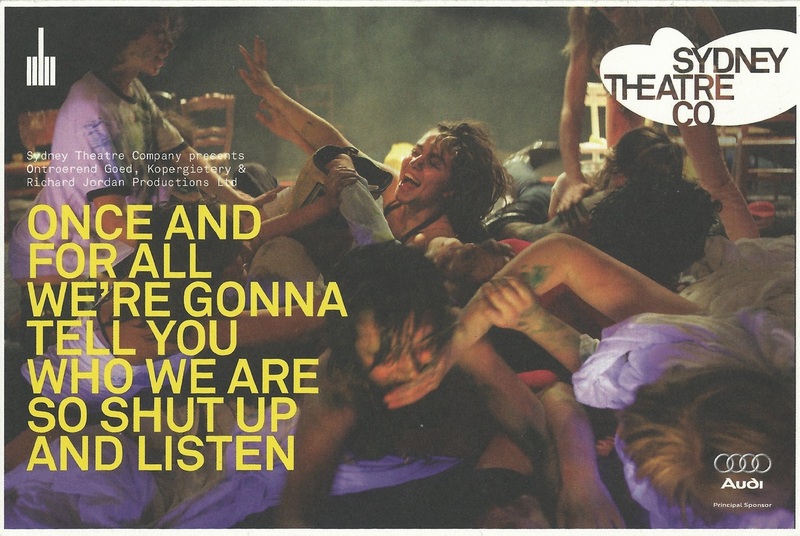 "…the Ontroerend Goed company evokes our feelings about adolescence in all its complexity." "…Een niet te missen voorstelling van het zeldzame soort."